Trade shows are important in any industry. From the home remodeler to the Fortune 500 company, they offer a rare opportunity for candid, face-to-face connections that otherwise might not happen. But with an industry that exceeds $13 billion spent annually in the US alone, are companies really getting what they pay for when they commit to a trade show? Think of the individual travel, shipping, printing and logistics plus the cost of the booth build? Is the ROI truly there? Research has shown that the top 3 objectives at trade shows are related to relationship management and customer engagement, and it’s that interaction that sets your company apart from competitors. 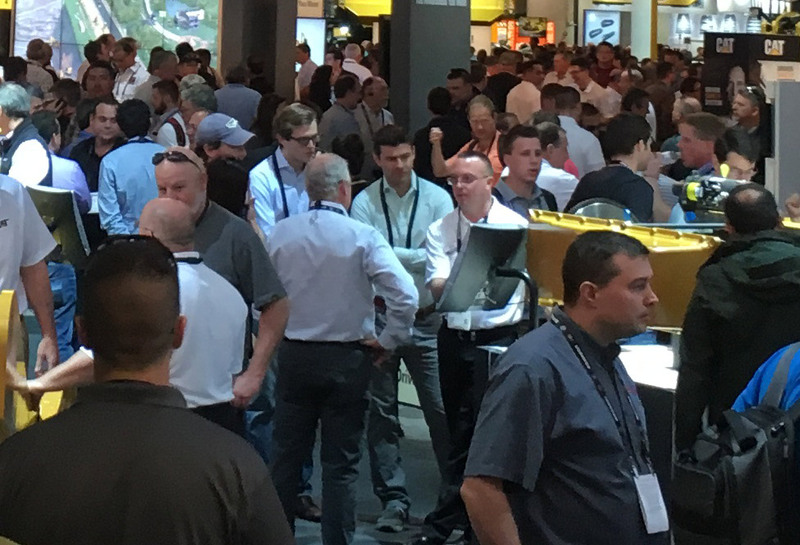 How many times have you walked a trade show floor and witnessed exhibitors standing around talking to each other and watching the clock till lunch time? It’s an all-to-real scenario that continues to plague companies in their exorbitant spending year after year. Capitalizing on new relationships should be the main priority, after all, 81% of trade show attendees are an Executive or Upper Management… meaning there’s a LOT of buying power walking the floor. It’s incredibly important to be strategic and decisive when planning for such an important public platform. Let’s start with printing. 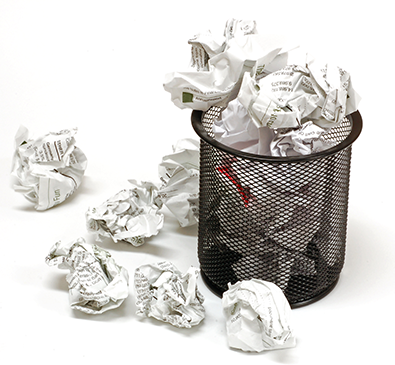 Can you imagine what it costs to print all of those sales brochures, many of which end up in the trashcan no more than 20 feet from your booth? How frustrating. And let’s not forget about the clinical study that is listed on page 3 and just got changed by the FDA two days ago, you’re liable for that mistake and delivering inaccurate information to your attendees. It happens all too often when your strategically designed content might not be everything you had hoped for. There must be a better way to distribute that information - a way that utilizes technology to stay current and flexible. Next, who is in your booth? Trade shows are a different kind of animal. Do you bring in your best salespeople or are you just trying to fill the booth with bodies? And what are you arming them with? Sometimes it’s hard to take your best woman away from her well-established territory for two days for a show, additionally, it’s next to impossible to get everyone up to speed on your newest offerings and how to sell them with a concise, confident message. Getting attendees to cross that threshold of carpet really depends on the charisma of your team and how your information is presented. It’s more important than ever to lead to your products, not with them. No one likes having a sales pitch jammed in their ear, and today, addressing ONLY content relevant to your customer shortens sales cycles and builds immediate report. 96% of B2B buyers want content with more input from industry thought leaders. Wouldn’t it be nice if you were that trusted advisor in your industry? Relevant, engaging content for your booth drives that kind of interaction. And finally, we know some people attend the show for the swag, others for being the first to see the new cool thing but most are looking for information. It’s that information that your company provides that could help contribute to your next big client. But, how do you know if your fish bowl full of business cards at the end of the show will really generate a qualified lead? Research shows that around 12 percent of leads collected at trade shows actually convert to sales, and another 50 percent didn’t know if a trade show was attributed to a specific sale. Is it the sales teams’ responsibility to follow up? Marketing? And what was this person interested in that your company offers? What is the best way to manage and analyze the interactions and interest generated at your booth? Sales enablement tools were developed to help booth personnel with all of these problems, but really is it just creating more problems by “enabling” worst-practices? Customer-first engagement is the solution. Technology that not only helps the most “green” employee deliver a concise, customer-driven message but also tracks what was shown, who requested the information and a plan of action, post-show. Situational navigation in technology platforms, like Command.App®, offers the salesperson the opportunity to deliver a custom-tailored presentation about your company’s expansive product offering. But it’s more than that, versatility to answer any question at any time, whether you’re speaking with a CFO or an engineer, give your booth staff the confidence they are looking for. Command.App provides companies just like yours, the opportunity to step forward and transform into that trusted advisor role, all while looking like the cutting-edge company you always knew you were. Trade shows are important in any industry. From the home remodeler to the Fortune 500 company, they offer a rare opportunity for candid, face-to-face connections that otherwise might not happen. But with an industry that exceeds $13 billion spent annually in the US alone, are companies really getting what they pay for when they commit to a trade show?